Star Trek: Discovery's weakest element of Season One was the Klingons, and it was good to see that this episode almost worked as a course-correction for its handling them, addressing how the aliens adapted in the wake of the war, which affected both sides. A proud warrior race aren't quickly going to assimilate to the federation after all, and they weren't going to take Ash Tyler - or Voq, back so easily now that he's looking like a human despite growing a beard (Is this Star Trek: Discovery's Riker's beard moment?) like the rest of the Klingons to bring them more in line with their classic series counterparts, and the conflict that it created between both L'Rell and Voq and the rest of the Klingons was incredibly interesting, as it asked if Voq can really remain Klingon even if he doesn't look like one. Given what the Klingons turn out like in future Star Trek series it was obvious that there wasn't going to be a peaceful resolution and the show used this as a way to bring Emperor Georgiou back into the picuture as an almost backdoor pilot for the upcoming Section 31 spinoff. The Suicide Squad type feel of their creation and the revelation that Georgiou is trying to bring the bad guys - or the formerly bad guys in Voq's case as he's now more of anti-hero, much like Georgiou herself without her Empire at least - together as part of a team was fun to see. 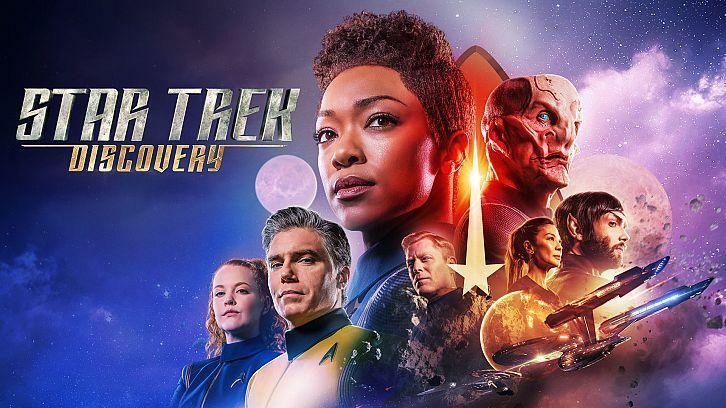 If Discovery is anything to go by then CBS All-Access are taking Star Trek in an exciting new territory with this show, and especially if both Voq and L'Rell show up on Section 31 it will help give that series an extra bit of edge and connection to Star Trek: Discovery. Bringing back the awesome Michelle Yeoh will always be a plus too. The Klingon-centric episode was one born out of tragedy and ended in it, with Voq being unable to acclimatise to Klingon culture and forced to leave L'Rell behind - with the hope that we return to her character in the future on either this show or Section 31 as she is much too compelling to forget about entirely, especially after the events that happened in this episode. The fight scenes were well directed, and the exploration of Klingon culture in the wake of the war and the catchup on the aliens and how their politics had changed was a welcome one. Given that the Mirrorverse was the much more effective arc of the first season, it will be interesting to see how they fit into the show going forward now that it seems focused on the mysterious Red Angel (which Spock saw when he was younger) and what happened to Spock, but it looks like that this episode was a relatively self-contained one, at least, disregarding the Section 31 elements that cropped up at the very end. However given that the Klingons are an important part of Star Trek lore it won't be long, I'd imagine, before we see them crop up again in some form or another. The best storyline out of the 3 present in Point of Light was arguably Tilly's struggles with the visions of her friend from school, Mae, who turns out to be a fungal parasite that didn't make it easy for people who wish to get it out of her head, and it turned out to be longer than expected before Stamets and Saru were brought on board with the main priority interestingly enough was to expel the parasite from Tilly as quickly as possible, rather than encourage Tilly to interact with it. Mae herself could have used a little more depth, but more of Tilly - one of the best characters on the Discovery's bridge crew - is always good, and the balance of the three storylines was handled nicely enough. With Burnham being the science officer it was cool to see her new office and lab, and her shared investigation of what happened to Spock with Pike continued to be a compelling mystery even if it was relegated to the C-plot this week. The appearance of Amanda Grayon was - much like Georgiou's, a welcome one, even if it was a plot-geared one rather than that of character development. It turns out Grayson stole the file containing the record of Spock's treatment on Starbase 5, which only served to put Spock in more trouble as according to the chief, Spock killed 3 innocent people. It's enough for Pike to get on board with the breaking into the file when he was reluctant to beforehand, and if Spock truly murdered people, then he must have had a reason to do so. To make matters worse, both Spock and Michael have a complex past, with Michael doing everything she could to try and keep Spock away from her when she was younger and presenting her as an emotional weakness for Spock to have. Point of Light may not quite as successful then, as the terrific New Eden (It'll be hard for any episode of the show to top it) but it was fun to watch nonetheless, as it balanced the ongoing narrative, set up Section 31, worked in some growth for Tilly as a character and caught us up to date with life back on the Klingon homeworld. The teasing of Section 31 as an organization represents plenty of possibilities for an exploration into the darker side of Star Trek, and the sooner that the spinoff arrives on CBS All-Access, the better. More Trek is always a good thing.